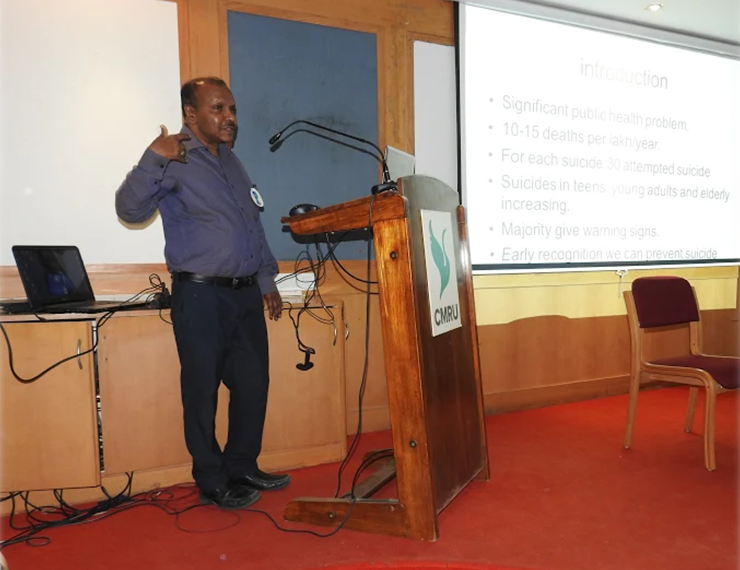 Bengaluru, September 18, 2018: CMR University School of Social Sciences and Humanities (SOSSH) organized an awareness programme on World Suicide Prevention Day at the city campus A.V. Hall. CMR University organised it jointly with the Karnataka State Mental Health Association (KSMHA)- Karnataka Chapter. The programme was commenced with a welcome speech by Ms. Vasavi, followed by lighting of the lamp by Chief Guest Dr. H Chandrashekhar, HOD and Professor Department of Psychiatry BMC&RI, Bangalore and Secretary, KSMHA– Karnataka Chapter and Dean of City Campus, CMR University, Dr. Shiv Tripathi. To create awareness among the youth about prevention of suicide. To motivate students to create awareness among family, friends and peer group members on prevention of suicide. He further added that in India, Pondicherry has the highest number of suicide rate and 33% of people commit suicide due to sudden act of frustration and depression coupled with dysmenorrhea. for the writer. She highlighted the integrated motivational model and the process of how it functions. The content of the notes (Cohen et al) and how it gives a lot of information about the suiciders’ mental state. 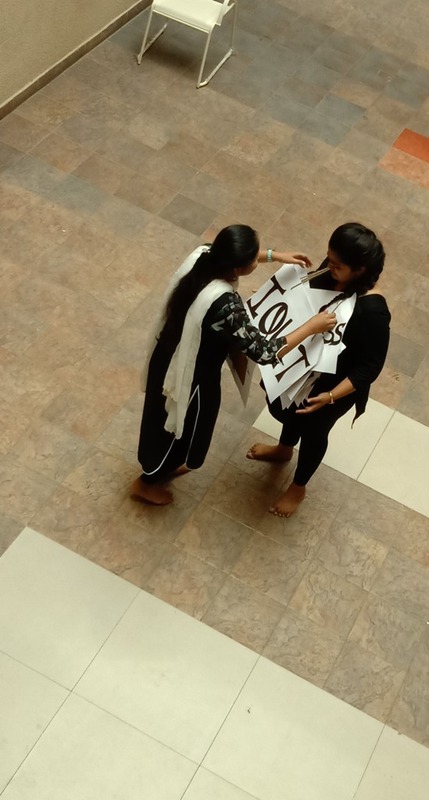 Students of CMR University also enacted a mime skit to create awareness on the role of family, society and government in suicide prevention.